A design sprint is a design-thinking tool to help teams test big, important ideas before starting to build. We create prototypes within the sprint and attempt to validate them with targeted customers. Assuming we do collect the validation we need, the next challenge is connecting the insights uncovered during the sprint to effectively and efficiently build solutions—or in a word, execution. 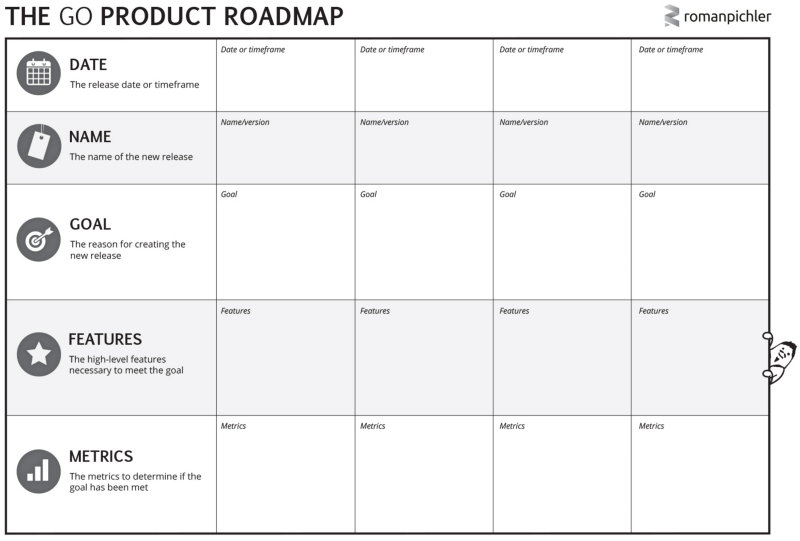 Here’s how we solved that challenge and how your team might think about approaching your product development process. In order to explain how we got to the point of successfully marrying our design sprints to product development, it’s important to understand why and how we adopted design sprints in the first place. For the past 3 years we’ve been supremely confident in our ability to execute our core UX/UI design and software engineering services. If we knew what we were building and why, we could create some of the most killer digital products on the market. However, we relied on the teams who hired us or third party UX/research firms to seed us with all the upfront research, validation, and roadmapping. The problem with this dynamic is that it’s nearly impossible—and in the best case scenario extremely inefficient—for 1 team to research and validate problem solutions, and then have another team design and build those solutions. 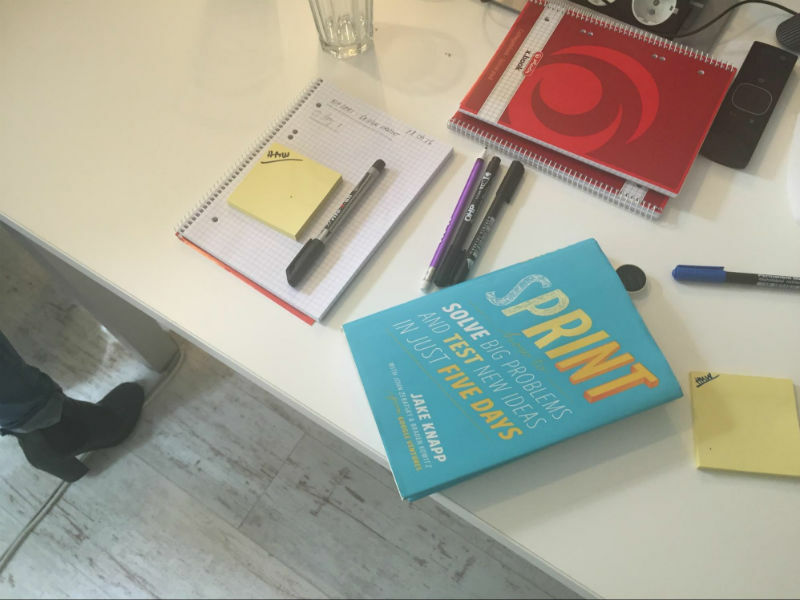 So about a year ago, the mastermind operator behind New Haircut and my co-founder John Vetan sent me a link to GV’s website about design sprints (the Sprint book had yet to be launched). My first reaction was to doubt that anything worthwhile could be accomplished in 5 days. Thinking it over, though, if we could successfully implement sprints into our maturing design thinking and innovation practices, we’d gain the ability to conduct that missing upfront research and validation, and it would enable us to follow the life of a product from start to finish. 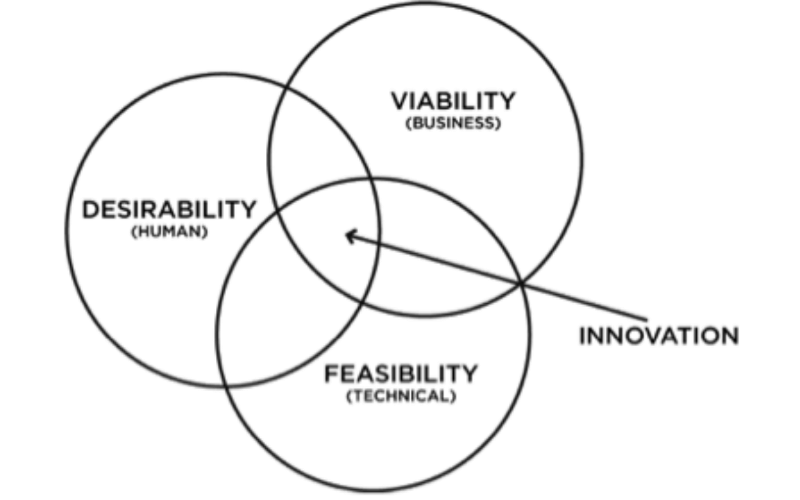 We could deliver better, more viable user-centered products for our clients. After successfully adopting 5-day designs prints into our product development process, here’s the approach we’ve taken to marry design sprints with the core steps required to build, advance, and scale the solutions you’ve validated within that design sprint. When you exit your 5-day design sprint, you should hopefully have validation of your sprint challenge and feel confident moving into product development. One thing I see is that lot of companies start here. They skip the sprint and they skip that first post-sprint step. We’ve all been there—wanting to jump into building solutions before we know enough about our business priorities or the customers we’re serving. But if you’ve gotten to the point where you’ve run a successful sprint and completed some of the post-sprint steps, you’re now ready to plan your infrastructure, wireframe, design, code, test, and launch. One of the key activities we perform during our Build process is something we designed called a Code Sprint. This happens right before you enter into full-blown product development where your application architects, data scientists, engineers, and product managers will probably need to clarify exactly how your product will be constructed. We developed a 5-day Code Sprint (yes, another sprint—bear with us!) to allow these folks on your team to research, develop, and test candidates for your product’s architecture, infrastructure, frameworks, and libraries. During your sprint, you probably spent time defining the metrics that will matter most—follow these like a compass to ensure the solutions you delivered are providing the business returns your stakeholders care about. Within this Advance phase, we’re capturing, measuring, and iterating on our solutions based on what we’re hearing and seeing from customers in a production environment. One of the biggest misconceptions we run into as we talk to teams and executives about design sprints is that sprints are completed as standalone projects. If design sprints are going to provide sustained value, they—and all of the related design thinking practices, tools, and processes—need to be baked into the company culture. This is the main goal during our Scale step : enrolling others by showcasing the success of this project, training them, and then carrying that momentum into future initiatives. Design sprints have provided us with a super-efficient tool for validating big ideas before plowing head-first into product development. Hopefully New Haircut’s tale of conceptualizing and implementing this process can provide your team with some clues about how to transition from your design sprints into the actual building, testing, and scaling of your products and services. In a later piece, we’ll discuss the steps you should take prior to a design sprint to ensure your sprint aligns well with the business priorities and has the best chance of solving the right problems your customers care about. Jay Melone is a Partner at New Haircut, a product strategy and training group based in NJ. They help product teams fall in love with the digital solutions they make, and how they make them. 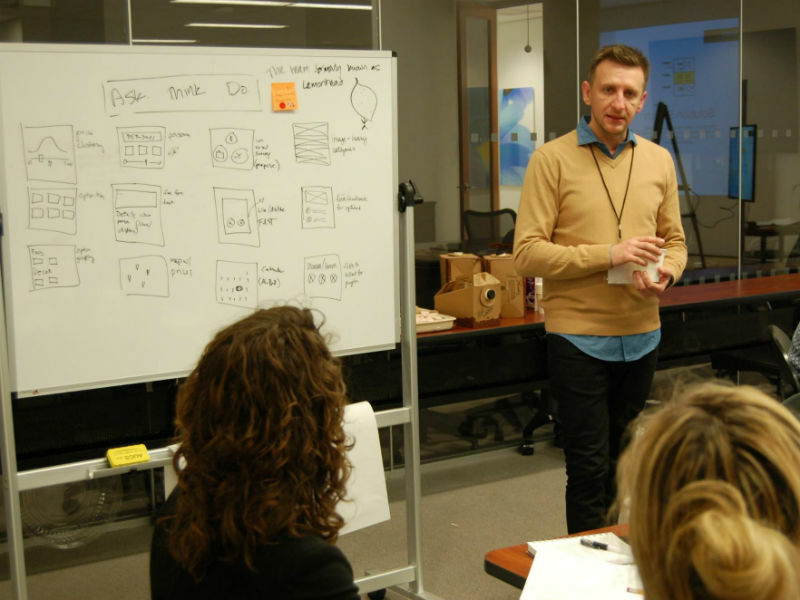 They offer design sprints, problem framing, and outcome-based roadmaps as part of their 4-week Product Transformation Program.